Gionee marathon M3 Android smartphone comes with 8-megapixel rear camera, 8GB of internal storage, 1GB of RAM & a massive, long-lasting 5000mAh Battery. This is in a bid to join the world’s smartphone manufacturers who are trying to create a device that will have the characteristics and functionality of a flagship. In such cases, the body of the device is usually made as thin as possible and the design is sleek. Usually, people, who buy flagship or high-end smartphones are engaged in office activities, so the battery power is not very important for them, because there is always an outlet within one’s hand reach. How about those, who travel often, regardless, for work or leisure and there is no power outlet? You either carry a power bank, or go for a smartphone that has it all – functionality and long-lasting battery. If you need a smartphone that combines decent level of performance and a long time between charges, Gionee offers a very attractive option – Marathon M3. 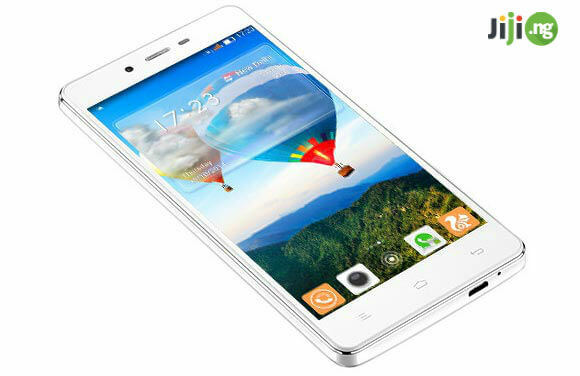 The gionee smartphone M3 on jiji is a good catch for those “battery worried’ consumers. Gionee Marathon M3 might look a bit bulky and does not have the sleekest and sophisticated body design, but this handset is all about longevity. Traditionally, on top of the device you will find 3.5mm headphone jack. The bottom houses a microUSB port and primary microphone. While the right side has volume rockers and power button, the left side is left empty. The M3 has a 5.0-inch HD panel, with a resolution of 1280 × 720 pixels, providing a fair color reproduction and image density. The screen has a fair margin of brightness, balanced color reproduction and wide viewing angles. 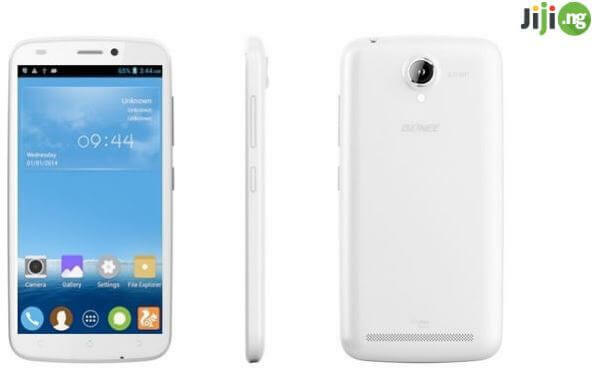 This is a dual SIM handset, complemented with a microSD card slot. In order to get access to the SIM slots / SD card slot, simply remove the back cover. The heart of M3 is a quad-core MediaTek processor clocked at 1.3 GHz and complemented by 1GB of RAM. The 8GB of internal storage can be expanded up to 128GB via a microSD card. The Gionee marathon M3 smartphone is equipped with the USB OTG function, allowing you to attach the flash drive to your smartphone or to charge other devices that you own. The smartphone has support for: Wifi, Bluetooth, GPS and 3G functions. 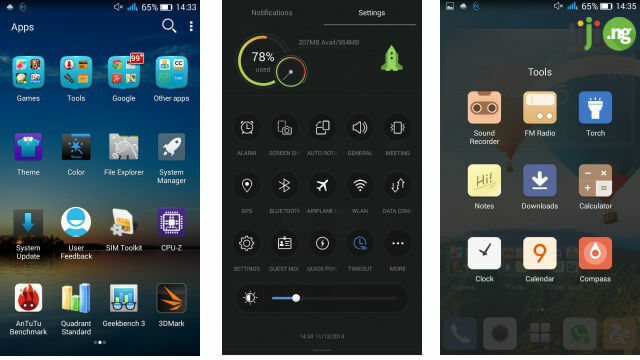 The Marathon M3 is running on Android 4.4.2 Kitkat OS, which is layered with Gionee’s customized interface. The Marathon M3 has two cameras. One is LED flash 8-megapixel rear camera. 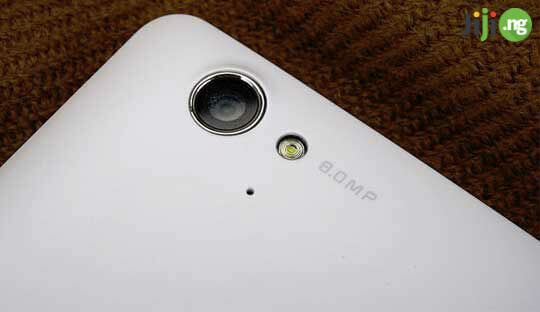 The second one is 2-megapixel front camera that offers a decent picture quality and fast shutter speed. The Camera app features all standard options such as panorama and smile/face detection like any other smartphone from top brands. 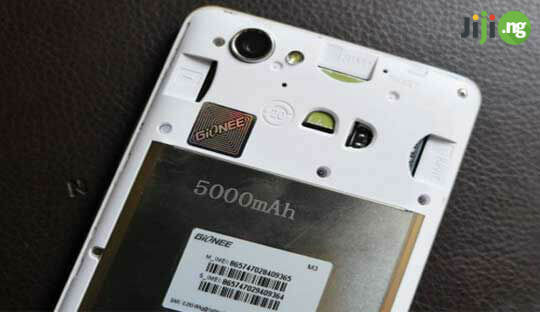 As mentioned before, the M3 has a massive 5000 mAh Li-Ion battery. One single charge can give you up to 32 hours of heavy – moderate use. In standby mode, the phone can last for about a month, with a charge remaining for a couple of calls. Gionee marathon M3 Android smartphone is a reasonable option for users on budget. With an OTG cable, you can use the marathon M3 smartphone as a power bank for your smaller devices such as: headset, smart watches, and etc. The ones sold on Jiji offers good value for those shopping for a secondary device. You can hardly go wrong with a copy of Gionee marathon m3 Android smartphone.